Dr. S.K. 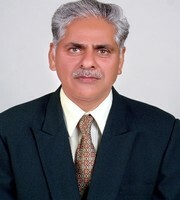 Mishra is presently Principal in GDC Memorial College, Bahal (Bhiwani) Hariyana (Affiliated to M.D. University, Rohtak). Formerly head of the department Defence Studies, various Govt. College of Haryana (HES-I). He has been teaching in the department since 1979. He has participated, presented, keynote speaker and chairperson in many national/international seminars and workshops related to national securityNational interest,Peace development and humanity. He is also as advisor of Defence Monitor National Magazine. He has written edited 36 books and more than a thousand articles and research articles onsecurity and defence and development subjects published in national and international journals, Magazines and Newspapers. Dr. Mishra has also participated in many debates, discussions and extensionlectures on these and other current affairs on the Door Darshan and Radio. Dr. Mishra awarded the First, Second and Third prize for original and quality writing of India’s defence and security issues in Hindi by the Ministry of Defence Govt. of India continuously for Three times. Special awards for quality essay writing bt the Human resource and development ministry. Govt of India in 2000.‘Man of the year’ award in 1999 given by the American Biographical institute Awarded and honoredby Distinct and state administrative of Haryana Government as also by various social, educational and literary institutions of the region. 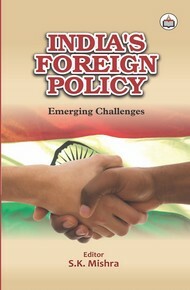 He is also visiting fellow in Jai Narayan Vyas University, Jodhpur. He is also examine and conducted Ph.D. Viva Voce Top most rank officers of Indian Army and Airforce of the Army Staff (General), Lt. Gen., Major Gen. Wing Commander.